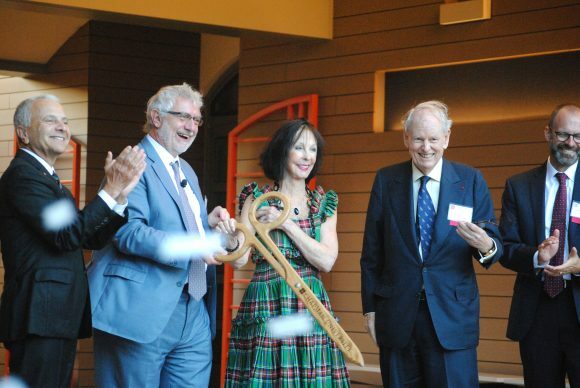 Even as the ceremonial ribbon was being cut outside, students and faculty were already toiling inside, some in the pursuit of cutting-edge advances. Students in General Chemistry I tested nascent skills. A software engineering class studied data management systems. 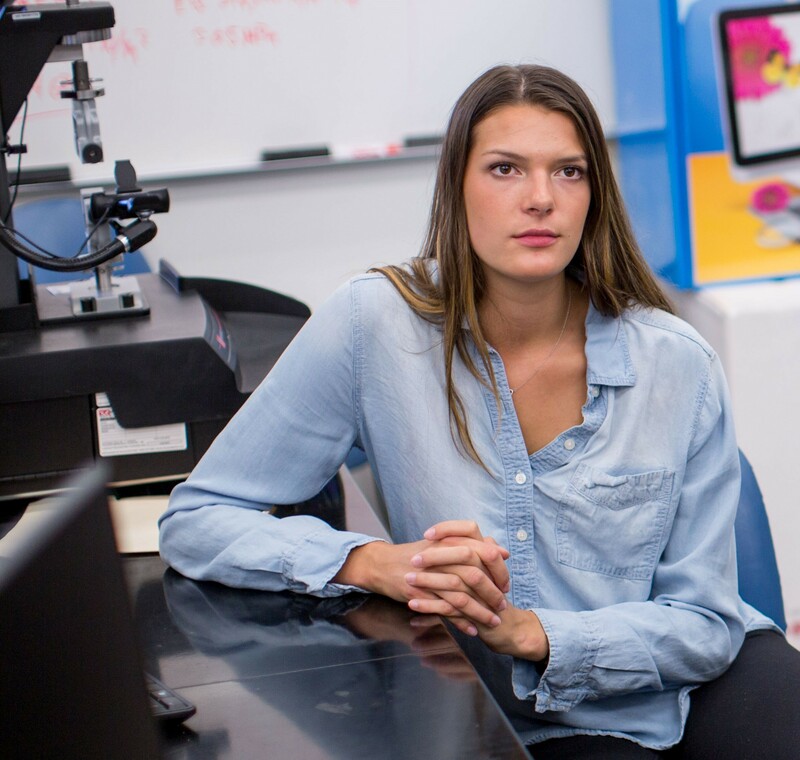 Hagfish settled into a specifically designed lab where researchers are already uncovering clues that may drive engineering breakthroughs. 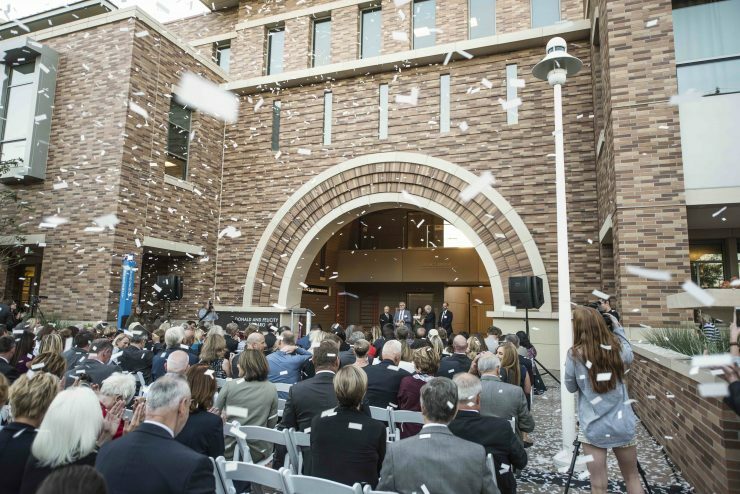 Such energy illustrates the future of the sciences at Chapman University, President Daniele Struppa told audience members who gathered Oct. 11 to mark the official opening of Keck Center for Science and Engineering. 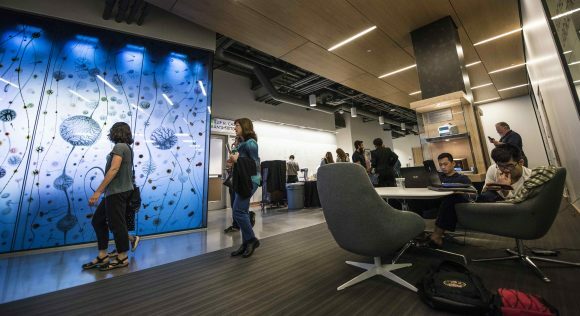 Keck Center for Science and Engineering, which opened to students and faculty in August, is made possible by a $20 million grant from W.M. Keck Foundation. 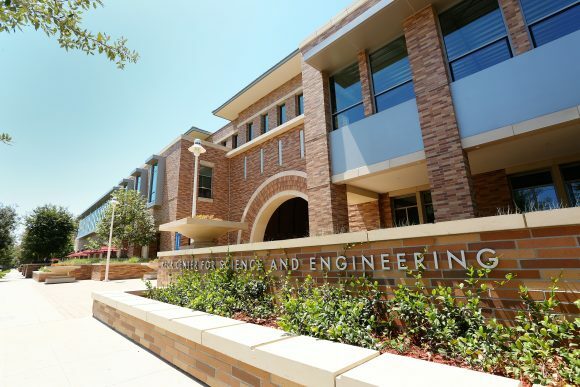 The 140,000-square-foot building houses Schmid College of Science and Technology and in fall 2020 will welcome the Dale E. ’58 and Sarah Ann Fowler School of Engineering. 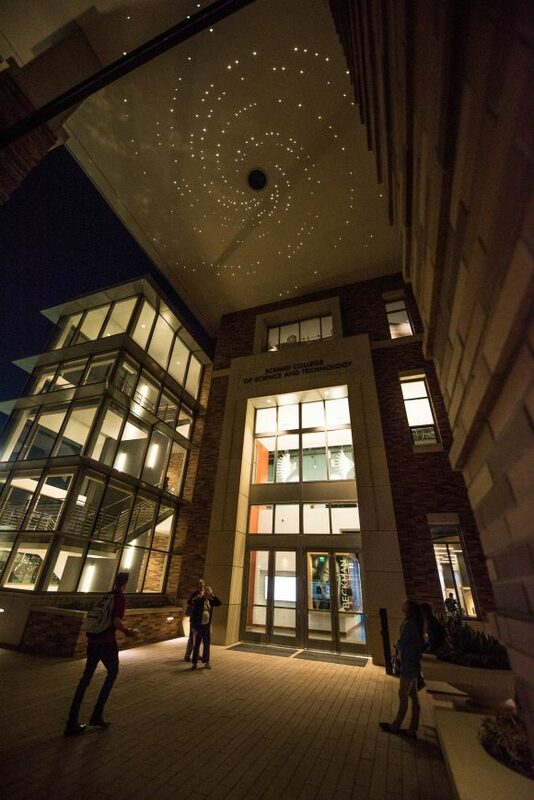 The naming gift from Keck Foundation, along with gifts from more than 450 additional donors, supported the building project – Chapman’s largest to date. 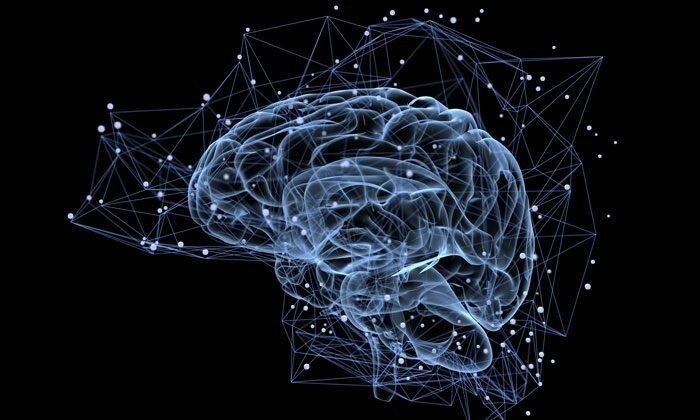 The Foundation has contributed significantly throughout Southern California to scientific and medical research and education with its grants, including those to Keck School of Medicine at USC, Keck Institute of Space Studies at Caltech, Keck Graduate Institute of Applied Life Sciences at the Claremont Colleges, and grants for outstanding projects at UCLA. Designed by AC Martin Architects, Keck Center represents a 182 percent increase in dedicated space for the sciences on Chapman’s main campus. The guiding design principle, though, was student experience, said Andrew Lyon, dean of the University’s new Fowler School of Engineering. n all the disciplines,” he said.